Hard Rock at its finest. New video for ‘Black Cloud’ coming soon. For fans of Alter Bridge, Soundgarden, Alice in Chains and alternative hard rock. 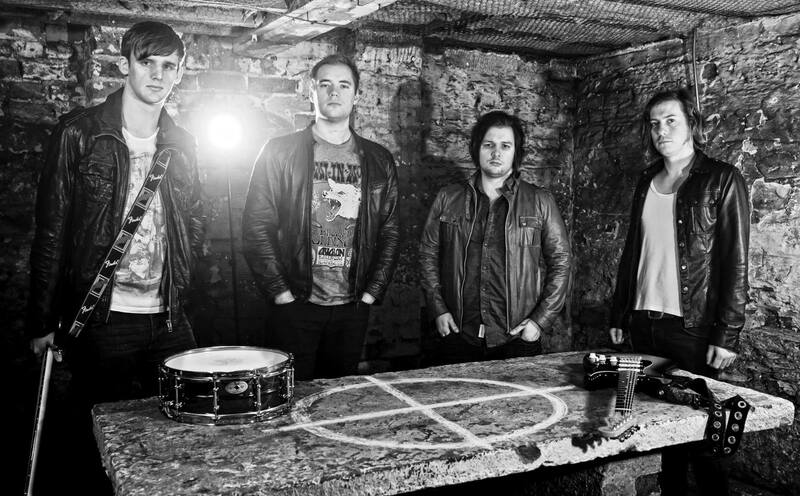 PERFECT CRIMES are an alternative hard rock band hailing from Sheffield, UK. The band formed in early 2011 and each member brings diverse influences to create a compelling mixture of electrifying riffs, thrilling breakdowns and captivating choruses; while striving to write unique hard rock songs that translate well onstage. Perfect Crimes are releasing a brand new video single for ‘Black Cloud’ very soon. Perfect Crimes have gigged heavily around the Sheffield area, playing the popular local venues West Street Live, Corporation and the O2 Academy; sharing stages alongside Heaven’s Basement, The Answer, Black Spiders, Voodoo Six, Jeff Scott Soto and Warrior Soul. The band recorded their debut EP, Skeleton Key, at Steel City Studio in September 2013, before embarking on a short UK tour that took them to Leicester, Chesterfield, London and Northampton. 2014 – PC were featured as ‘local heroes’ in Kerrang! magazine, and had their song Scapegoat broadcasted on BBC Radio Sheffield. The band also completed a second UK tour that saw them play in London, Doncaster, Edinburgh, Nottingham, Leeds and Manchester. The Skeleton Key cycle ended with memorable appearances at both the Tramlines and Doncaster Live festivals. After returning to Steel City Studio to record a new single, Black Cloud was released in November.